I was also sent a Smitten Cloth Diaper from Rearz for revew. Their diapers are very brightly colored and are great in the washing machine They sent me over a red Smitten Diaper that retails for $14.49 and come in the colors red, orange, yellow, brown and green. As Rearz unveils its seconds generation (G-2) of fitted diapers, be prepared for a unique and pleasant experience. These new diapers are so vibrant they will make your mouth water. This Green America Approved fitted diaper boasts several unique features in its class. increased absorbency capacity of older children. Because these diapers are so thickly woven for softness and durability, you will notice that they take 5-6 washes to reach maximum absorbency, unlike cheaper diapers that will in 2 washes. Prewash in hot water with vinegar the first time. They fit well and Logan didn's seem to mind wearing it. I love their velcro closure and he didnt look like he was swimming in this one since it was a small 6-15 lbs. I used this with their diaper liners I reviewed in the last post. 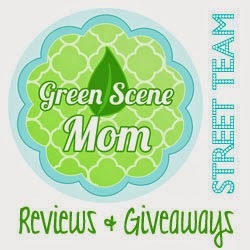 Want to win a Rearz Smitten diaper of your own? Does your nephew Logan typically wear cloth diapers? How do you go about winning one?